This a total ''throw it on and hope for the best'' type of outfit, but as usual it turns out to be a new favourite. 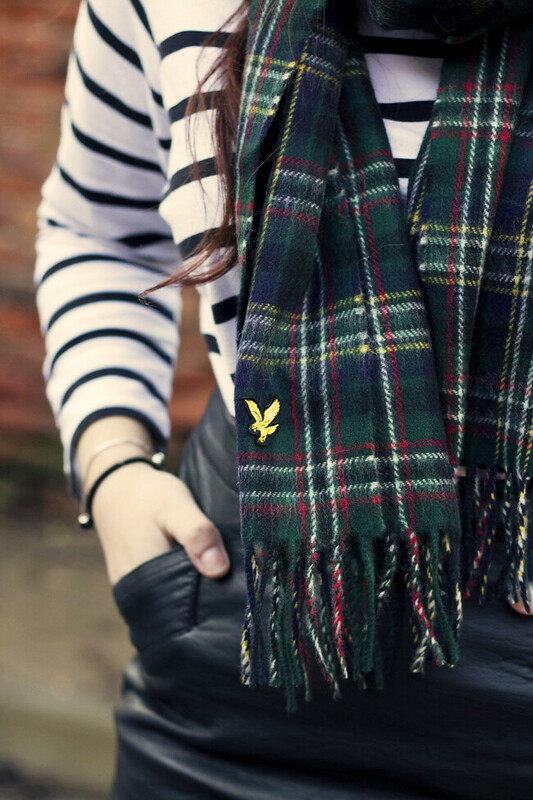 I'm so in love with this scarf from Lyle and Scott Tartan Collection and although it's mens, i think it looks really nice and doesn't look boyish at all! I'm keeping this short and sweet as my 'to do' list for today is bigger by the minute! Send help! Rocking the leather mini Victoria! I really like this outfit - it's given me a bit of inspiration since I have a skirt and top similar to this! 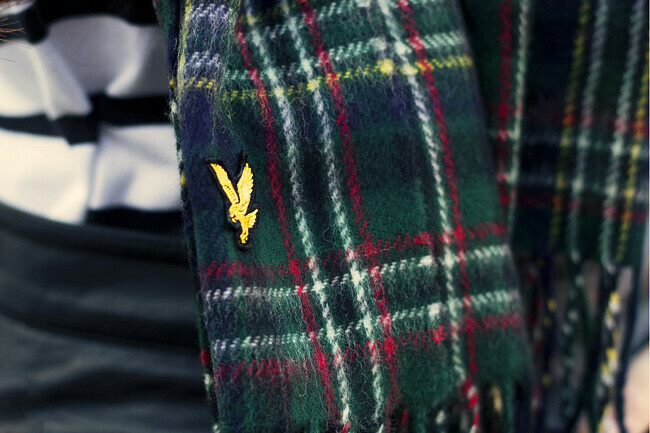 I also have a green tartan scarf I bought in Burton years ago which I still wear and love. It's amazing sometimes what you can find in the men's section. oooooh I love that skirt, and the tartan scarf is beautiful! I've been looking for a scarf like this for a while now - love this one! 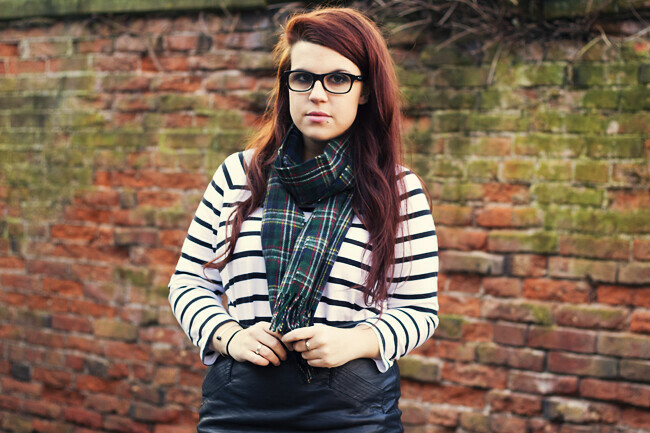 I love this combination of tartan, stripes and leather - very "throw-together cool". This is exactly the kind of outfit I throw on for uni! I love your scarf. I'm very jel! Love the outfit! Wish I was brave enough to mix patterns. Love the outfit and such a pretty skirt! I love the stripes and leather look. Hair looks so gorgeous too, I need to recreate this colour! Always had a penchant for a red hue. 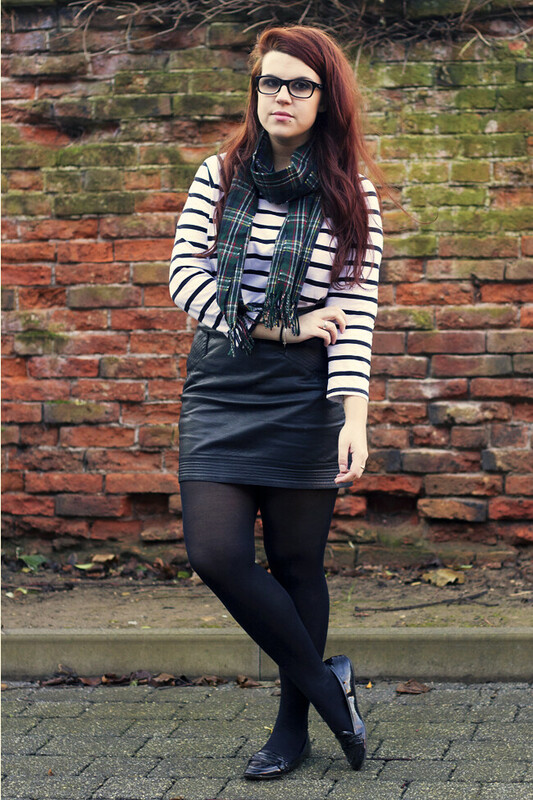 The leather, stripes and tartan and lovely. 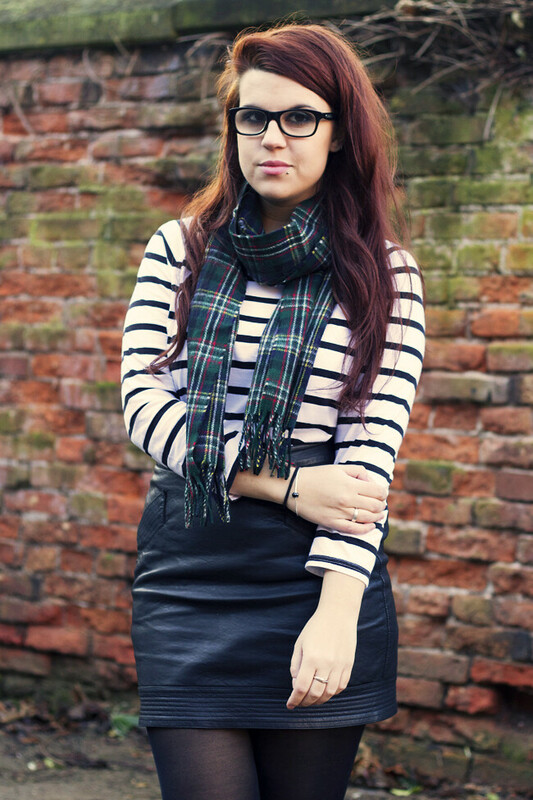 How amazing do you look :o I looove that scarf, in fact I entered their blogging competition to win one haha! That skirt is lush as well.